"Dear Bob and family, Karen and I are saddened by the loss..."
"It was our good fortune to have Jake as our Sebago neighbor..."
SEBAGO - Robert H. "Jake" Loughlin, 88, of Sebago died peacefully with family at his side, Thursday April 11, 2019 at Lahey Clinic in Burlington, Mass. following an illness. He was the beloved husband of the late Margaret M. (Hay) Loughlin, who died in 1999 and Patricia C. (McCarthy) Loughlin who died in 2011. Born Oct. 14, 1930 in Waltham, Mass. the son of the late Joseph F. and Catherine F. (McDonough) Loughlin, he was a former longtime resident of Franklin, Mass. and spent his retired winters in New Smyrna Beach, Fla. He was raised in Watertown, Mass. and was a graduate of Newton Trade School, electrical, class of 1949. He continued his education at Northeastern University, where he received his associates' degree in business. Jake was employed at Raytheon for over 40 years retiring in 1991, as a manufacturing manager, where he oversaw the Patriot GSE assembly. A proud American he joined the United States Navy in 1950, he attained the rank of AEAN, serving during the Korean War. He was awarded the National Defense Medal and was honorably discharged in Sept. 1954. 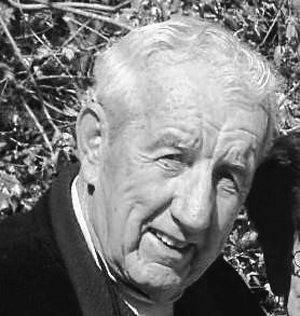 Jake began going to Sebago Lake in 1950, where he enjoyed spending time with his family and friends. He was a handyman, who could fix anything and enjoyed doing home improvement projects, both at home and at the cottage. He was an avid, passionate, and competitive golfer, who was a member of many golf leagues throughout his younger years. He continued his love for the sport, as a member of a retirement golf group in New Smyrna Beach, Fla. He is survived by his children, Robert H. Loughlin, Jr. and his significant other, Louise Bussiere of Hudson, N.H., Patricia J. Loughlin of Franklin, Mass., Thomas W. Loughlin, of Franklin, Mass. James J. Loughlin of Franklin, Mass. ; sisters, Marie Laughrea of Plymouth, Mass., Rita Scudder of Watertown, Mass. and Sr. Christine Loughlin, OP (Peggy) of Plainville, Mass. and his companion Kathryn Spence of Ohio. Also surviving are his cherished grandchildren, Jake E., Jenny M., and Kelli M. Loughlin. He was the brother of the late Joseph Loughlin. Relatives and friends are invited to attend his funeral Tuesday April 16th at 9 a.m. from the Charles F. Oteri and Son Franklin Funeral Home 33 Cottage St. followed by a funeral Mass in St. Mary's Church, 1 Church Square Franklin, Mass. at 10 a.m.
Interment with military honors will follow at the parish cemetery. Calling hours are Monday from 4-8 p.m.